Designed as a stand-alone PLC, the Micro PLC replaces the proven System 100V and incorporates features such as a new display and an operating concept that enables users to see the essential control information at a glance. 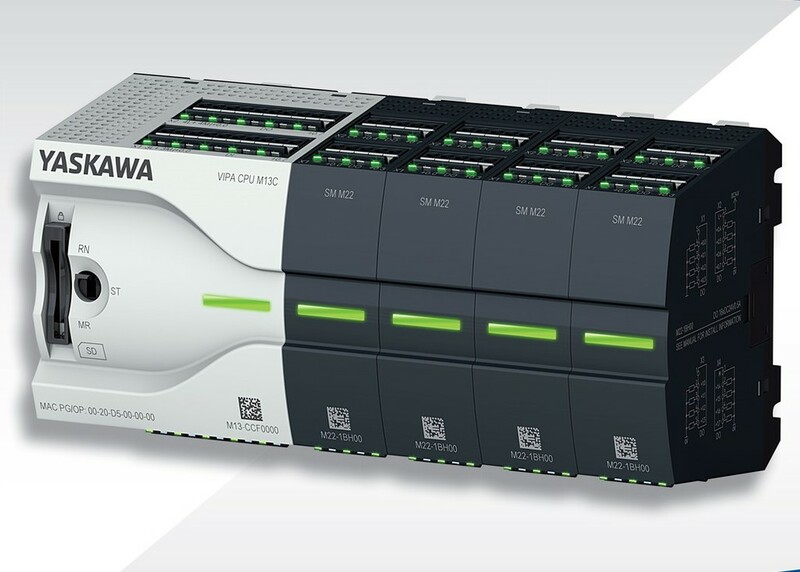 It is based on the latest Speed 7 technology which ensures the highest clock rates and fast program processing for precise positioning and diverse control tasks. Additional speed benefits allow a fast backplane bus transmission of 48 Mbit/s providing a performance similar to a large CPU, yet in an ultra-compact micro package. The positioning of the I/O display LED’s directly on the appropriate plug connection provides users with a clear indication of the channel status to help with quick and clear diagnosis. Real-time diagnosis is also possible using smart phones and tablets via an optional Bluetooth adaptor. The Micro PLC communicates via Ethernet TCP/IP (open communication, Modbus TCP etc.) as standard and is prepared for future applications of PROFINET. There is also the option of using the PROFIBUS slave function, PtP and MPI via an expansion module.